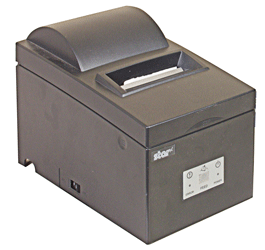 Our 2500 lb. 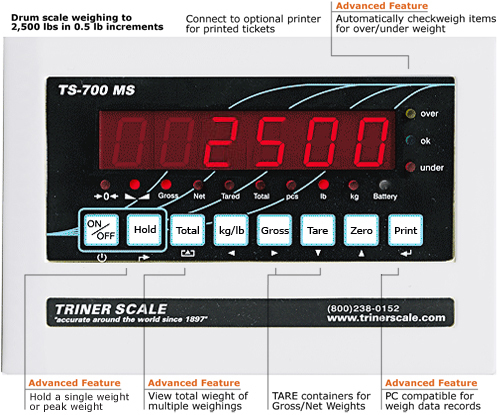 digital drum scale packages combine all the features of our full-size industrial floor scales with a smaller footprint and price tag. 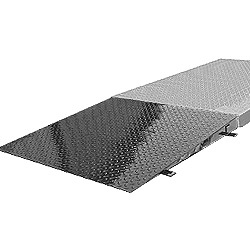 The digital drum scale system centers on a diamond plate top deck with shock absorbing feet and a self-leveling function. 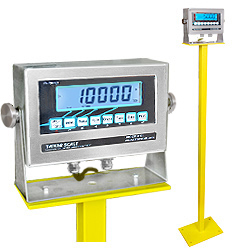 The advanced functionality and high visibility red LED of the included digital indicator allows for the accurate readings on which your business depends. 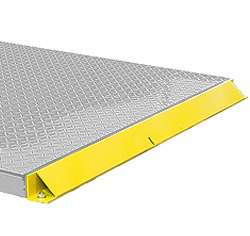 Our industrial floor scales are perfect for weighing barrels and drums, containers, skids and pallets, gaylords, and warehouse shipping and receiving items. 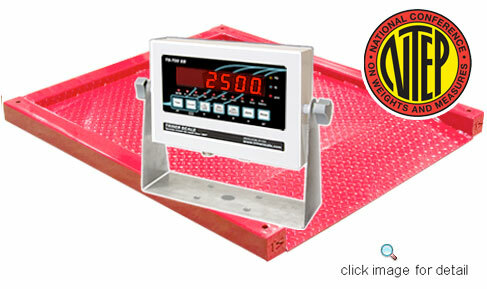 The industrial floor scales for sale are factory calibrated for durability and efficiency. 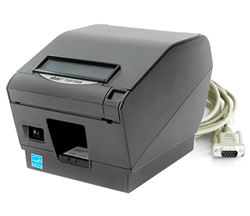 The drum scales ship with all of the necessary cables and cords you need, so you can connect the system as soon as it arrives at your home or business. 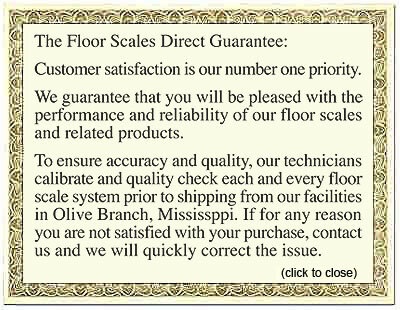 We offer free shipping on most orders within the continental U.S., so place your digital drum scale order at FloorScalesDirect.com today.